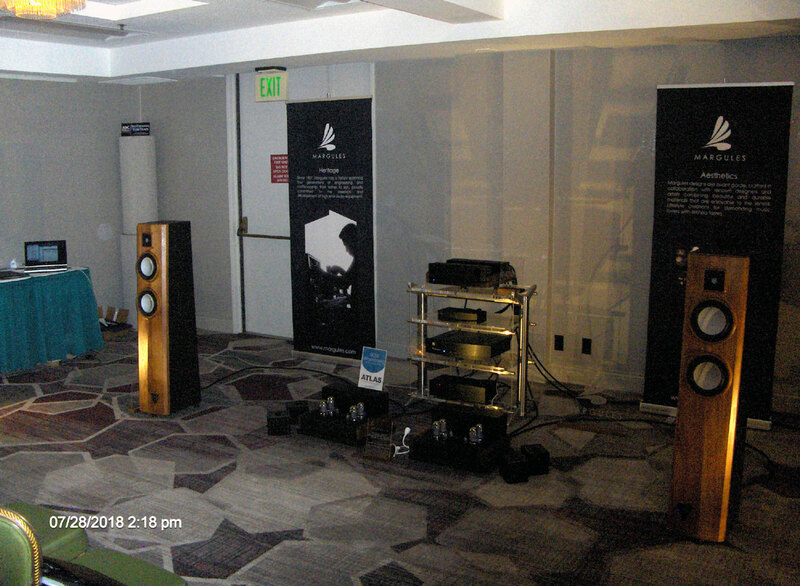 Aaudio Imports was in one of the largest display rooms at the show. 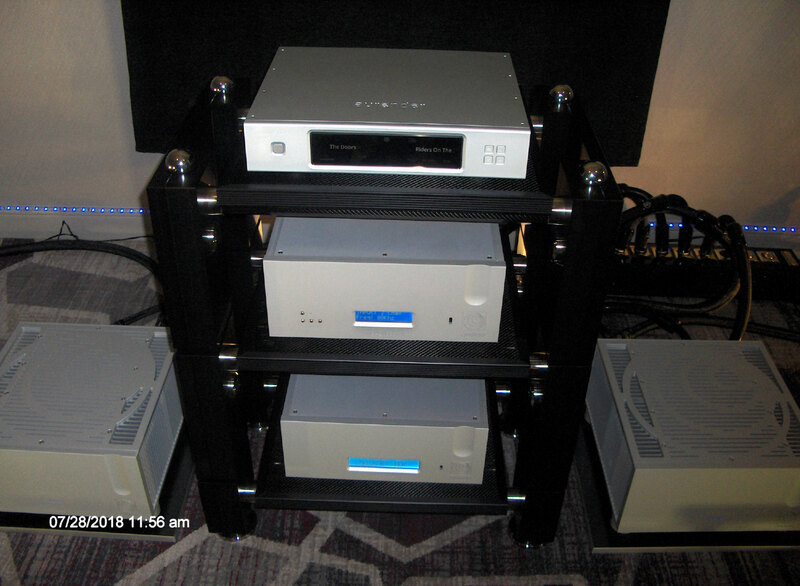 It imports and distributes Wilson Benesch speakers and racks and Ypisilon Electronics. 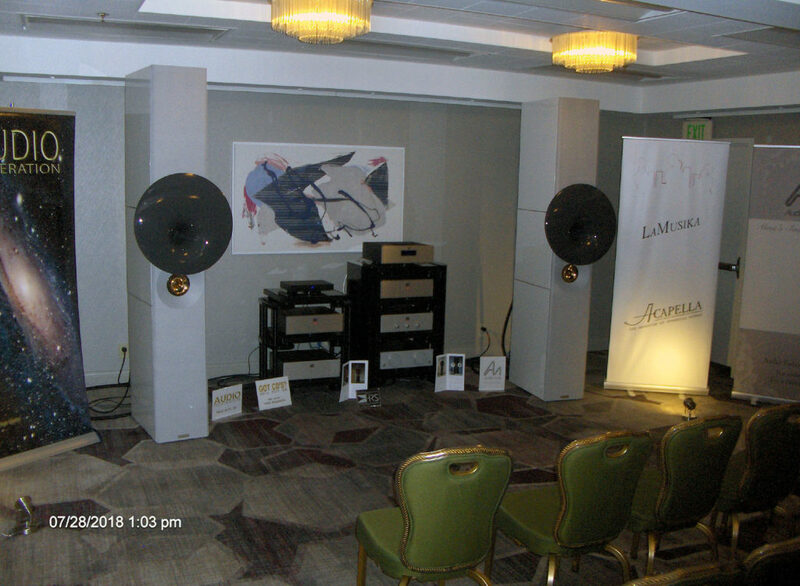 On display was the Aurender N10 server ($8,000), Wilson Bensech Endeavour Speakers (49,500/pr) driven by Ypisilon PST 100MK II tube preamp ($37,000), Aelius II Push Pull Tube mono block amps ($39,000/pr) and their DAC 1000 tube dac ($24,500). In total the system including line conditioning and cables came to a mind boggling $266,100, and Patricia Barber’s “Summertime” was a totally ethereal experience. The system is open and airy. 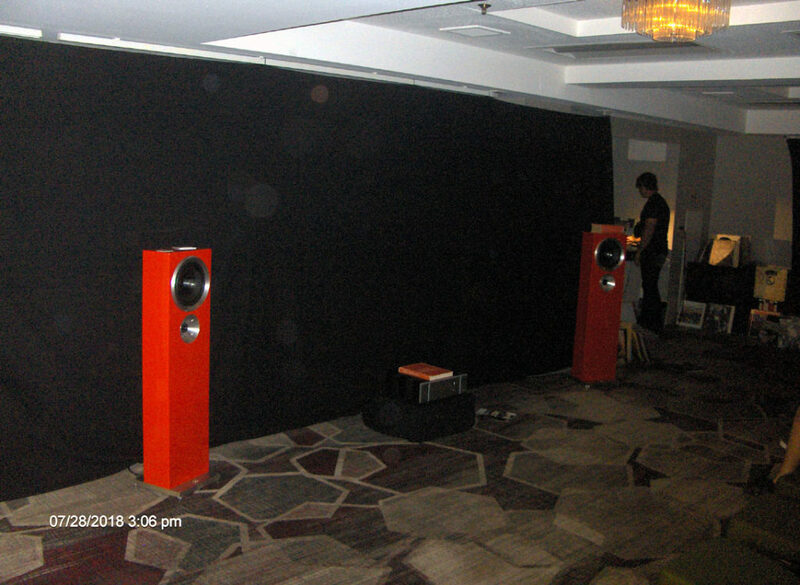 Bass is remarkably good considering the small size of the woofer and the large room the system was being demoed in. 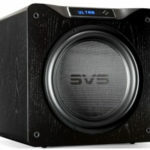 This shows that if you give a speaker the space everything sounds better. Depth improves, height and width expand, and the music just sounds real. 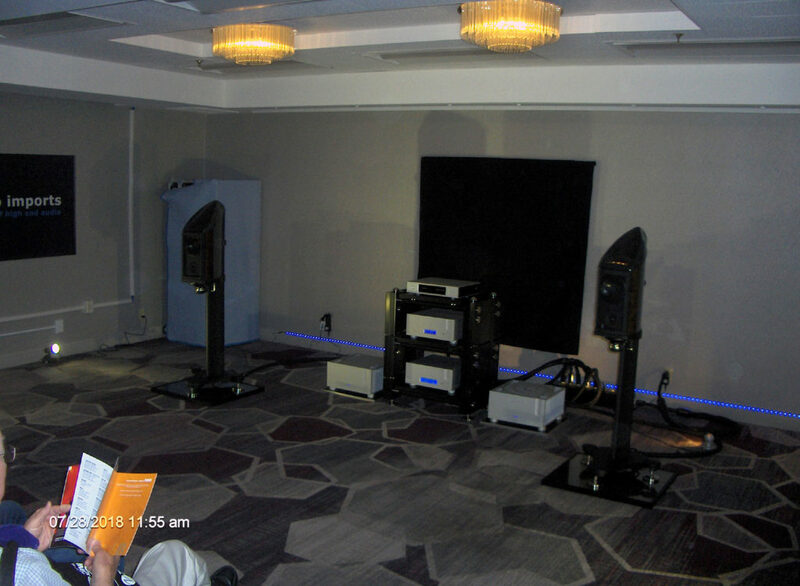 Also, in one of the super large rooms was Acapella Audio Arts, hosted by local dealership Audio Federation. 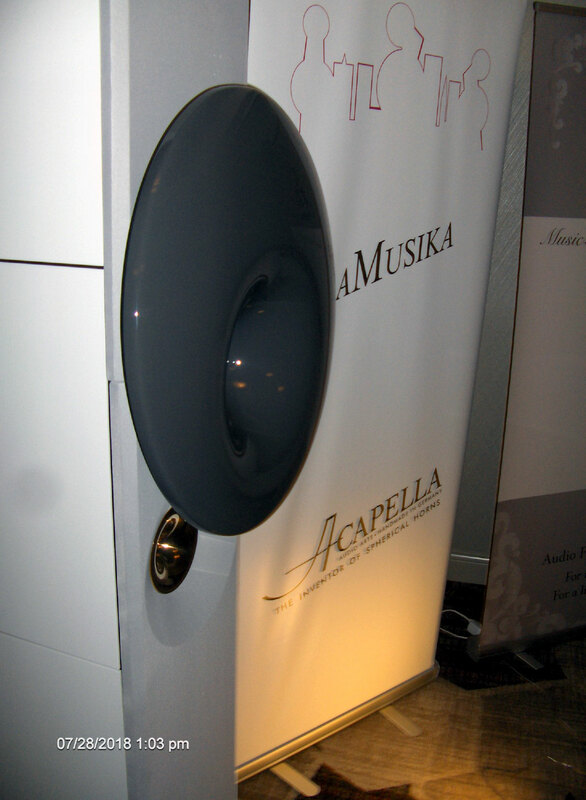 Acapella is one of those speaker companies the products of which can sound amazing when set up properly , and when it’s not they really suffer. I have had a love-hate relationship with these big horns for years. I have heard them on several occasions that I just wanted to run screaming out of the room with my hands over my ears, and on other occasions, sat in awe of the sound. Fortunately, in this case I could have spent the afternoon listening to them. The speakers were their Campanile 2 horn towers, standing at an impressive 93” tall and 450lbs, with four 10” woofers horn loaded mid and their TW1s ION tweeter ($64,000/pr.) They were using their own LaMusika hybrid integrated amp ($52,000). 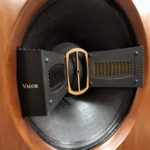 They were using an Audio Note CDT ($52,000) along with the matching Fifth Element DAC and Fifth Force power supply ($147,850). Wire was also from Audio Note. 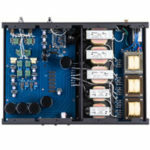 I want to point out the HRS MXR equipment stand with M3x Isolation Bases at a mind numbing $33,580. My Usher Drum CD elicited a huge sound stage and excellent width of stage. Percussion is sharp and articulate. The Classical Mozart recording was full, with fantastic dynamics and the tonal blending was smooth and clear. Nelson Pass is one of the true amplifier icons of our industry, and always a favorite of mine when it comes to solid-state designs. Considering some of the other rooms, their system was rather modestly priced. 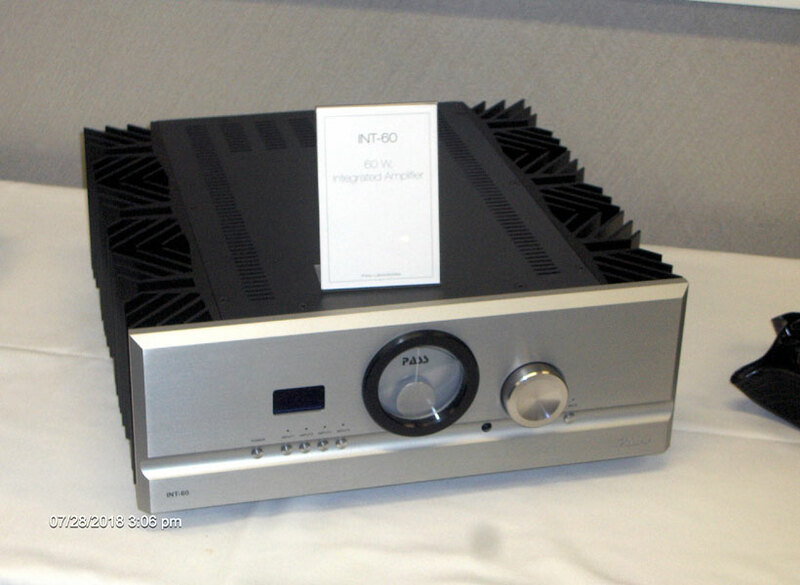 The amp was a Pass Labs XA25 amp outputting 25W/ch Pure Class “A” ($4,900) with a XP12 Preamp ($5,800) and a XP17 phono stage ($4,300). 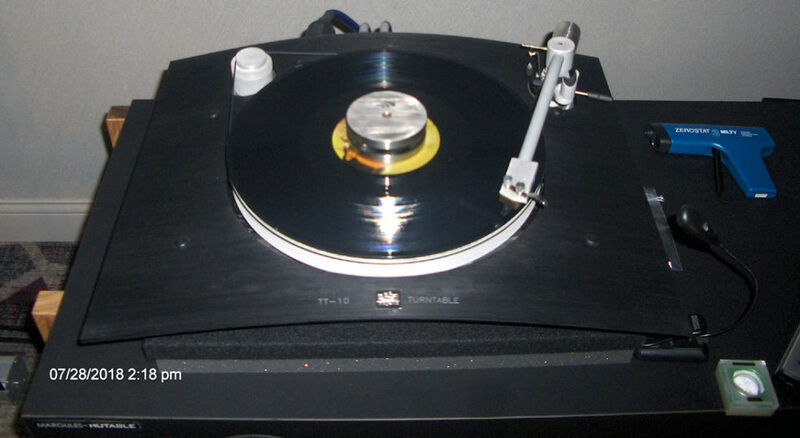 The analog side came from a vintage Luxman PD444 turntable with a modified Rega 600 tonearm and a Zu modified Denon DL-103R MC cartridge, used as a disc jockey station by Sean Casey of Zu Audio. 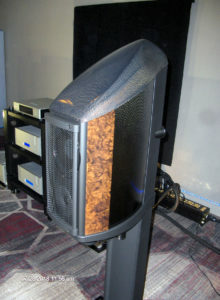 Speakers were the Zu Audio Druids at $9,999/pair. I wish they had set up the speakers on the short wall. Although the system did sound pretty good, I believe they might have gotten far better performance out of it had the speakers been able to fire down the long wall. That criticism aside, listening to the Eagles “Take it Easy” on vinyl, voices appeared well above the speakers and were relatively focused and warm sounding. In all I think the system sounded very reserved and not being pushed hard enough. 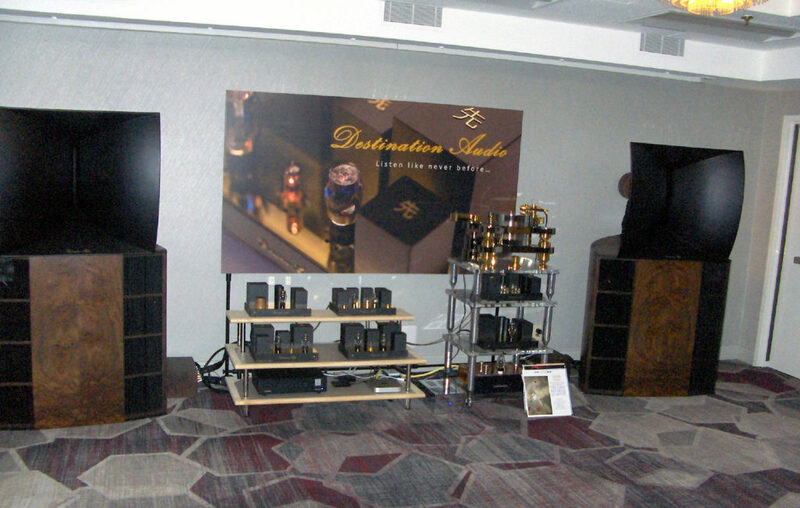 Destination Audio is one of those companies that produce everything from the phono preamp to the speakers. 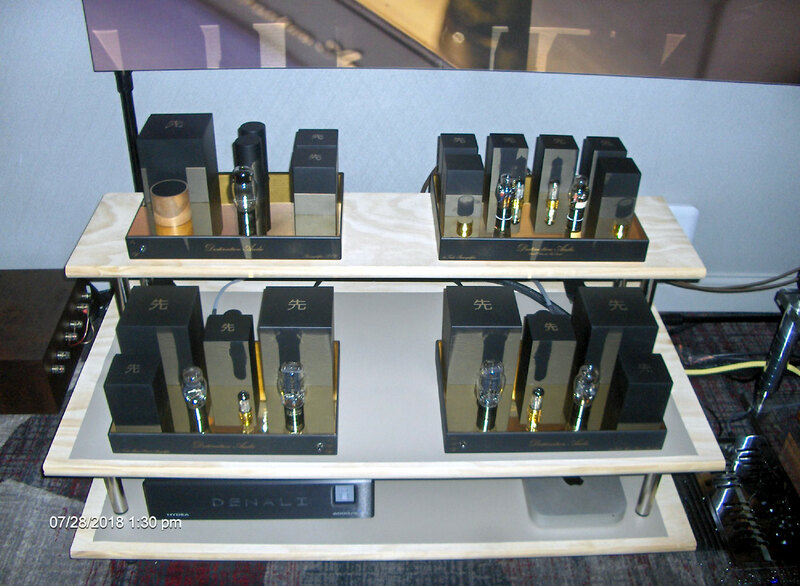 On display was their Type 45 SET Monoblock Amplifier producing a mere 1.8W but weighing in at 25Kg each ($24,000/pr), Line Stage 76 preamp ($15,000), WE 417A phono stage ($24,000) and the speakers were their Destination 3-Way Horns at 105db sensitivity ($95,000). 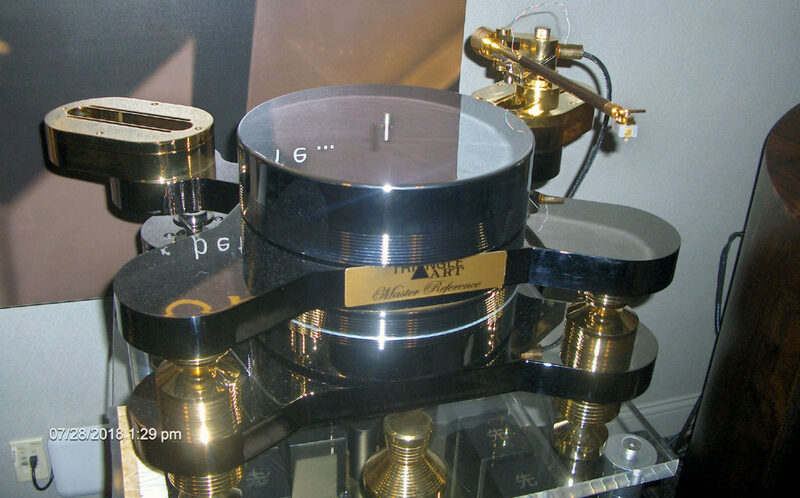 Music was supplied from a Triangle Arts Master Reference Turntable ($39,900) with a Mach II arm ($6,800). 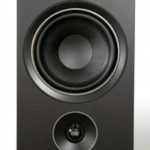 Through this system, the Minikitchen “Live in Concert” bass rift was articulate with excellent dynamics. The male vocal was lush, warm and well-focused. The cello that was being picked was natural and realistic. The Mozart 21st Concerto had a large stage with good instrument location. Depth of stage was also very good with a nice sense of the performance hall. The last room of the show for me was the Margules Audio, displaying another over the top system. 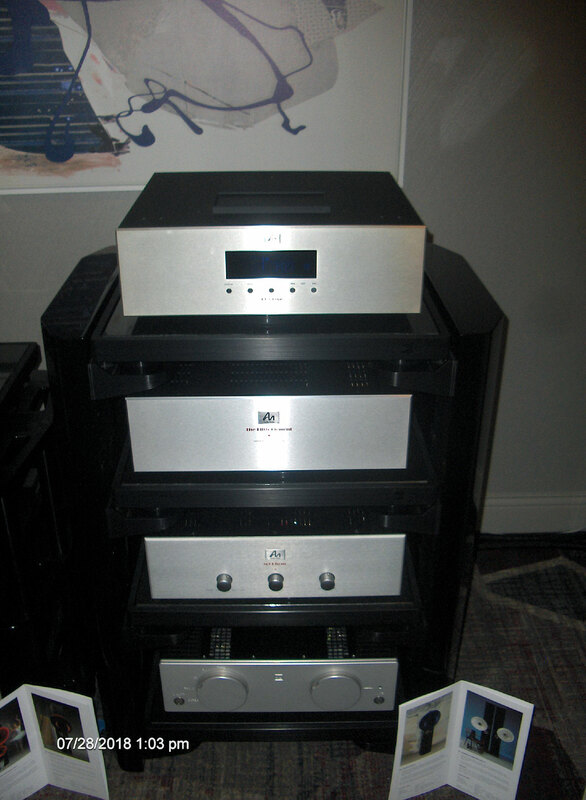 At the heart of the system was a pair of Margules U280-sc Black 1.3 Tube Class A Stereo/Mono Amplifiers driven by their SF220 Black 1.2 Tube Class A Preamplifier. Analog comes from a Magenta TT-10 Turntable with it’s matching Magenta FZ47db Phono Stage. Also in the system was a Magenta BTV4 Wireless Receiver and a Magenta DAC. 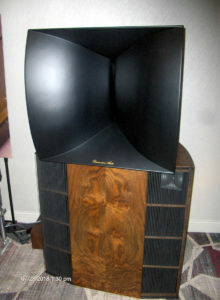 Speakers were the Margules Orpheus 1.3 Ceramic Driver Tower Speakers. 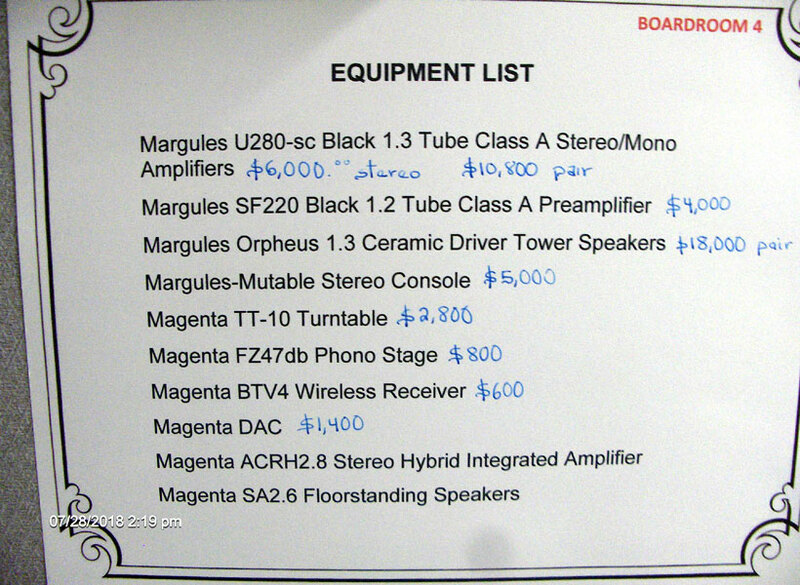 Margules even supplied the stand using a Mutable Stereo Console. Musically female vocals were clear and very well paced with excellent depth of stage. I listened to Dave Brubeck’s “Take 5” classic rendering. The horns were deeply planted just left of center while the piano placement was low and on the right of the image. The drums localized back and left with excellent attack and every instrument was defined and clear. All in all the entire soundstage was second to none.